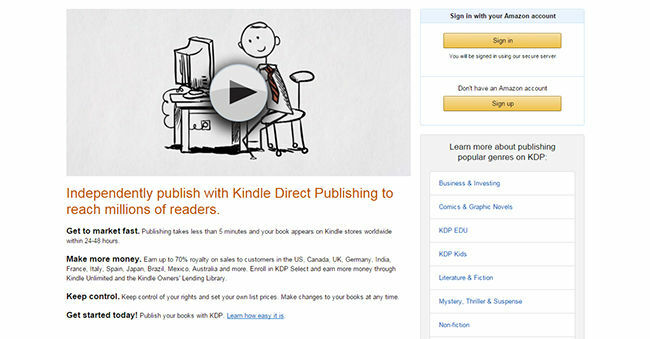 Can Kindle’s Direct Publishing platform make you the next self-published literary sensation? 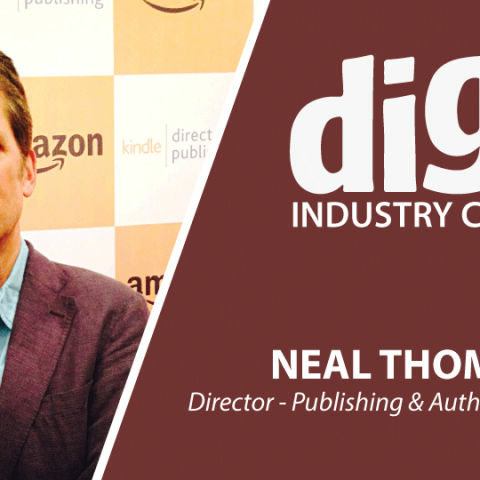 We speak to Neal Thompson, Director of Author and Publishing Relations at Amazon on the ways in which budding writers can use Kindle’s Direct Publishing (KDP) platform to quickly push their books to market. With more and more people going from being mere readers to creators themselves, it was only a matter of time before Amazon made a play in this space. Launched quite a while ago (Aug 2012) the Kindle Direct Publishing (KDP) platform for independent authors is seeing participation from Indian authors like never before. It is an easy way for authors and publishers to make their books available to Kindle customers in India and around the world on both Kindle devices and free Kindle reading apps. Here we speak to Neal Thompson who was down in Mumbai for the Times Litfest. Digit: So how does one start with KDP? Neil: So kindledirectpublishing.com is where you start. You just set-up an account, and it will walk you through the steps to publishing your own book. Some of the benefits of it are that the whole system is entirely in your control. There are tools there that help you to format your book, change the font, change the layout and there are even preview tools that show you how your book will look on different devices. You can play with images, sizes, and more. Whenever you are ready, it will process the file and you are ready to go. We have a cover creator tool as well, using which you can design your own cover if you don’t have one already. What’s exciting about it is that all of it is completely DIY. All the controls are in your hands and you don’t have to wait for the permissions from the publisher. You don’t have to go through the traditional route of finding an agent, finding a publisher, you know you can be up and running in a day! Digit: What does Amazon do from its side to help publicise these budding authors? Neil: There are few programs that you can enroll in that will help the book get featured. One is called KDP select. If you sell your book exclusively in the Kindle store, you will get sort of extra promotional perk from Amazon. You can run promotional deals, like a countdown deal where say you lower the price for five days and it incentivises people to buy at that lower price and the books that are enrolled in that count down deal program are featured on a special page on Amazon. Related to that KDP select program, there is another subscription reading program we have launched just in September this year in India called Kindle Unlimited. It’s a great program and there is a lot of promise for it in India. For Rs.199 per month people who are voracious readers can sign-up for this subscription program at Kindle Unlimited and read as many books as they want. So if your book is enrolled in KDP select, it’s also available in KU. Promoting books and getting readers to find the book is a challenge for every author no matter how they are published – traditionally or self-published. I’ve written four books myself and it has always been a problem but the digitization of storytelling and books have made it a whole lot easier to reach a global audience and to do so fast. Digit: Is there a kind of a voting or a peer review process that gets books noticed? Neil: In terms of getting your book published, there is no review at all. As for the publicising the book more the flywheel effect kicks in. Say you get your friends to write reviews you get that flywheel spinning a little bit, because on Amazon, books that have more reviews and better re-views, the algorithm decides what books get featured higher up the scale and would pay attention to those reviews and start automatically featuring that book up the chain, so it’s pushing it up the chain. So increased sales, great reviews. Digit: So do KDP books get thrown into the same pool as the other books on Amazon? There’s a chance for them to appear on the main site as well right? Neil: Yes one of the great things about self-publishing is that even if you are based at this location, when you publish it through KDP, the distribution is global. There are no barriers to where that book is available. There are other things too, to keep in mind. When you are creating the book, first of all write a great book is the obvious advice. Once you are ready to upload it, having the correct metadata, making sure that your book description hits a couple of keywords for search friendliness is essential. Another piece of advice I give authors is depending on your genre – say Young Adult fiction for example – I would go to some of the top young adult bestselling novels on Amazon at any given time and read their book descriptions to spot keywords that are in common among those book descriptions. Teens, love, confusion, whatever they be. The cover artwork goes a long way too. Digit: Have there been any success stories through this platform? Like authors hitting the NYT best-seller lists? Neil: Yes, so one of the books that we were talking about was fifty shades of grey. It started as a self-publish KDP and later it got the attention of a traditional publisher and then they published it in hardcover and paper. On my trip here we met an Indian guy who has some quarter million downloads for all the books he has written. Digit: Speaking of stats, can you share some? Neil: I can tell you that of top 100 Kindle books on Amazon in India, 20 of them are self-published. In other markets like the European markets it’s up to 33% in France and almost 50% in Germany. Self-publishing books used to be viewed as vanity project, people doing their own books but now they are best sellers. Digit: What’s the average pricing like? Neil: It’s entirely upto the author. The minimum is 99 cents US and if you are enrolled in KDP select, you can give it away for five days out of the 90 day period as a promotion. But Amazon decided that giving away these books for free permanently wasn’t working for the authors or the readers, so they give you a little window of time where you do the promotion, free giveaway and the rest of the time the minimum is 99 cents and it can go from there. One of the cool things once you get further into KDP page and set up the account and set up the working with your book is a tool that they’ve got there where you enter your books information and here is what category you want to sell it in and then show you a tool that provides a graph where the most ideal pricing would be. It’s called the KDP pricing tool. A lot of authors price them at $2.99 and in India the bulk of our digital books are sold for what less than Rs. 299. Amazon Kindle Store in India, Junglee to shut down?